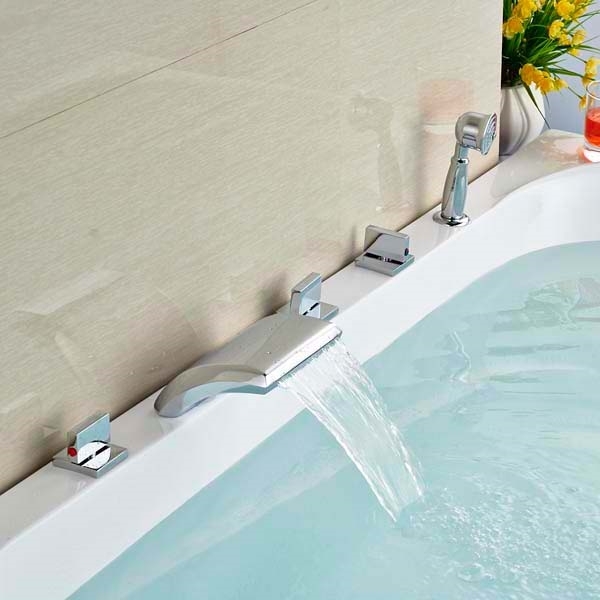 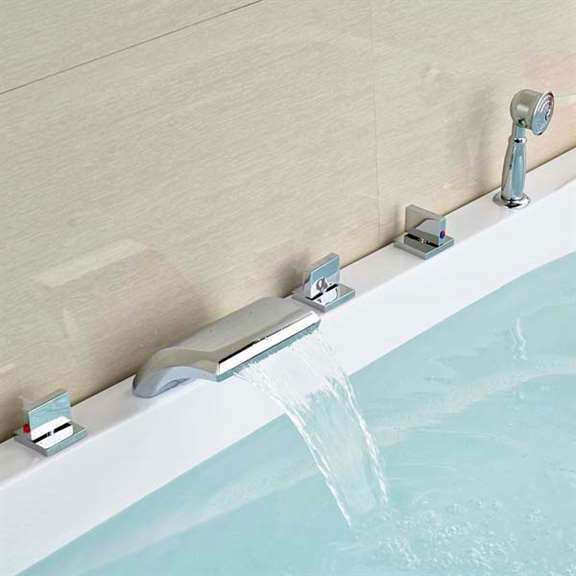 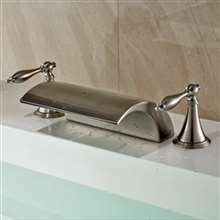 This Parma Bathtub Faucet is an elegant Waterfall Tub faucet with a Hand Shower Sprayer. 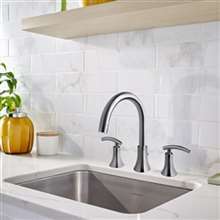 It is a deck mounted, three (3) handle faucet which requires five (5) holes for installation. 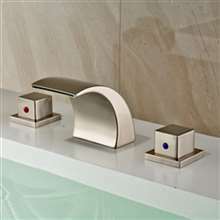 The Parma Bathroom Faucet comes in a Chrome finish with a Brass body. 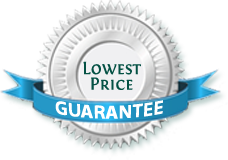 Great price for what the product has to offer. 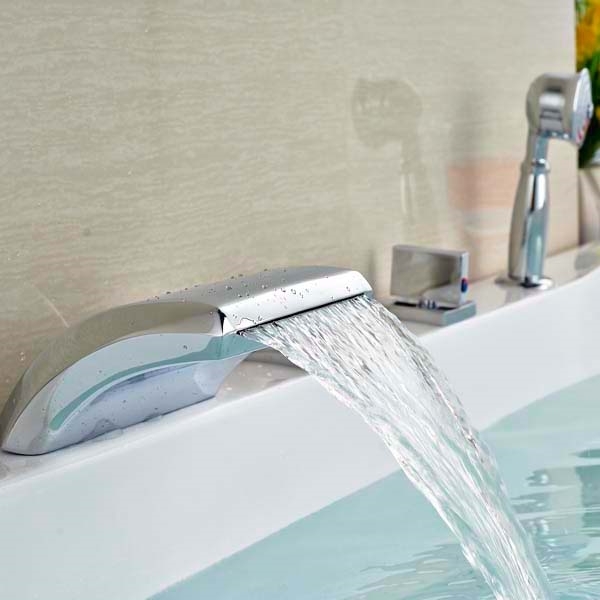 This Parma Chrome Waterfall Bathtub Faucet was installed in less than an hour and with minimal tools. 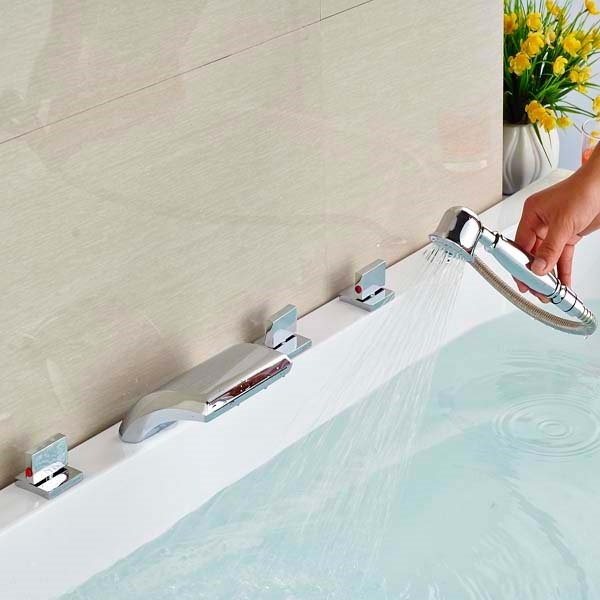 The hand shower makes it really comfortable for us to use. 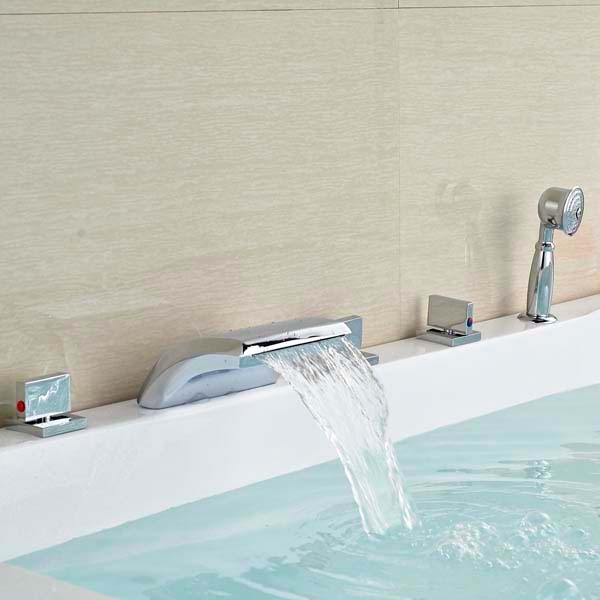 Always excited for bathing now!